I like to think of myself as a very logical person, which may be why I had a deep interest in data growing up. I thought I could easily convince others of my thinking if only I had the cold, hard numbers to empirically prove it. While numbers and algorithms continue to play an increasingly important role in our lives, many people still choose to ignore them (often to their own detriment). I recently had a meeting with a client (let's call him Victor), who had about 300 units in his portfolio with a 5% vacancy rate. 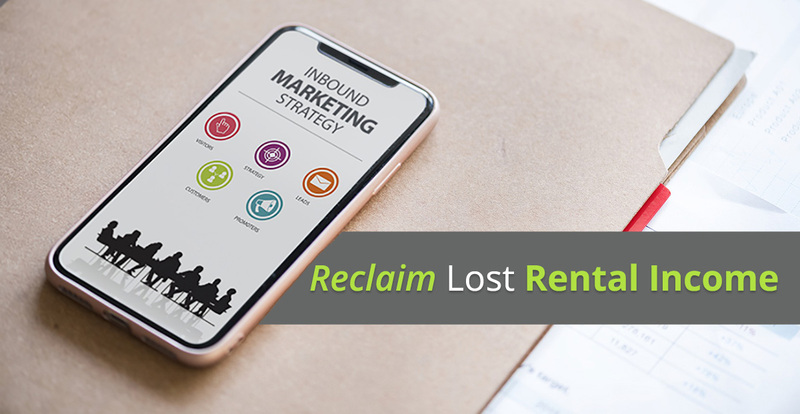 The average monthly rental income was about $1,000 per unit, and Victor wanted to know what he could do to generate more leads to fill his vacancies and improve his bottom line. His income had been down lately and he wanted to know why. The answer became immediately clear: He viewed marketing only as a cost, rather than as an investment. When a vacancy arose, Victor posted on free sites such as Craigslist and Twitter, and spent hours trying to get around Kijiji's systems to post ads for free. His own website had been created almost 10 years prior. When I asked about the website specifically, he said "Well we don't really get any leads from it, and it's not really for our tenants." WHAT!? If your website is not for your tenants, who is it for? A website is your digital "storefront"; a page you park on the Internet that interested users can visit if they want more information. And just like a storefront, the purpose is to drive some business goal, whether it be to generate more clients for a property manager, improve tenant services (like maintenance forms and online payment options), increase a brand presence for a new build project, generate leads for vacant units, or (optimally) all of the above! I tried to explain to Victor how much his thriftiness with marketing was costing him. With a 5% vacancy rate on 300 units, you'll have 15 vacancies per month, or 180 per year. If these units each stay vacant for the whole month, then they are costing you $15,000 in rental income each month. That's $180,000 each year! You can open your eyes again, the math is over. Victor is what I call a "Cost Only" thinker. In order to save a few dollars on marketing, he had cost himself hundreds of thousands of dollars. If he had instead looked at both the cost and the benefit, he would've seen that a dollar spent on marketing actually brings back significantly more than that in revenue. If each vacancy costs $1,000 in lost rental income, spending anything less than that to fill a lease results in a net gain. For example, even if Victor spent $500 in marketing per unit, he'd net the remaining $500, resulting in him cutting his lost rental income in half. While the breakeven point is spending $1,000 per unit in marketing, each dollar less than that goes right into your pocket. This means you want to find the most cost-effective marketing to fill your units. So where would your marketing dollars be best spent: A new website? Listing Sites? AdWords? Everyone's case is different. And just like traditional investing, sometimes you need the help and advice of an expert to achieve your business goals. If you're interested in learning more about your marketing and how we can help you get the most out of your marketing budget, feel free to drop us a line for a completely free consultation.